A generic catch-all forum for the various stories TerishD has written over the years. Discussions on writing in general can also be done. Critiques will be cold and honest. Vetacha finds herself presented with one big problem after another. Even though none are truly hers, she finds the situations to fall under her jurisdiction. They all lead to having her deal with a situation she knows well, but finding the answers as puzzling as how to resolve the problem. From a mass of doomed soldiers to rescuing a friend and fellow sister, Vetacha is led to once again deal with a reality that is facing collapse. The lady sheriff finds herself having to relate to a sister that enjoys fantasy, but not the real troubles of her developing society. While none of the promises made were explicit, Vetacha must help those affected confront the seriousness of the choices they made. This book was very difficult to write, as the tale kept wandering into areas it did not need to involve itself. Since I like fantasy, I kept trying to deal with my own perspectives instead of keeping Vetacha's tale strictly in the area of her own credibility. I believe that I managed, and I like the final version. This is now available on Kindle and Nook. 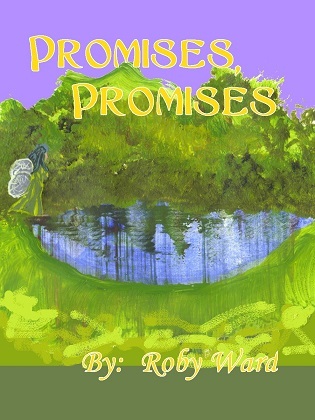 Remember that the name of the author is Roby Ward.